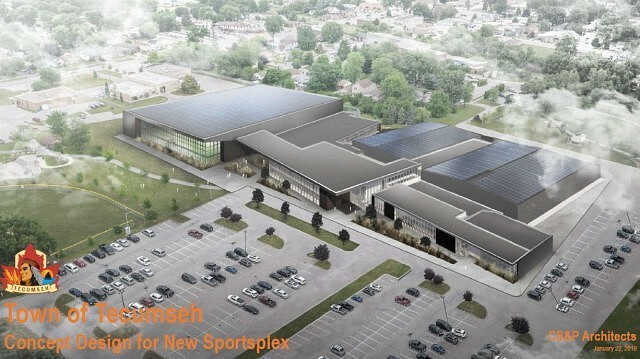 The concept design of the proposed Tecumseh Sportsplex designed by CS&P Architects was presented to Town Council Tuesday evening. 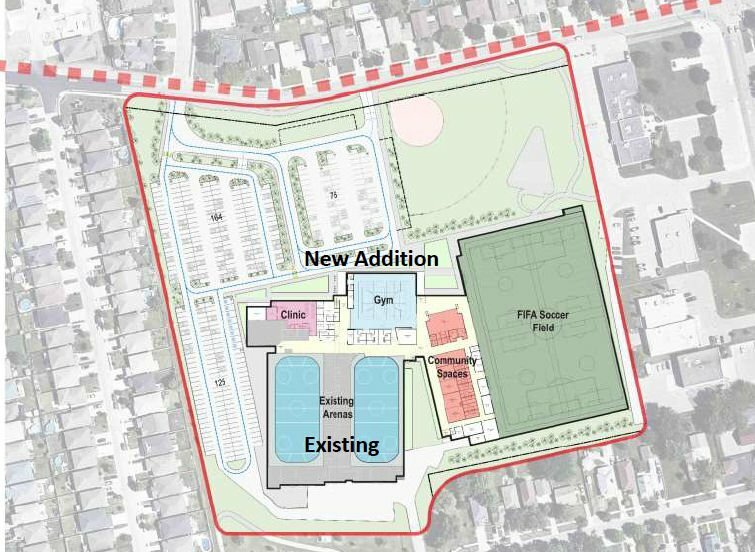 To get to the proposed design, the study team looked at area facilities to avoid competition, duplication and to add additional facilities to the Essex County area that would attract different sports and recreational events. This concept design will assist Administration and Council with further details on what types of activities and programs could be offered, how those will be priced, what operational costs will be and how the facility will be constructed. The concept design will build on the existing arena and provide not only a FIFA size soccer field, but also a double gymnasium, a walking track and a cardiac care rehabilitation centre. The new design also includes an additional 279 parking spaces bring the total available to 335. 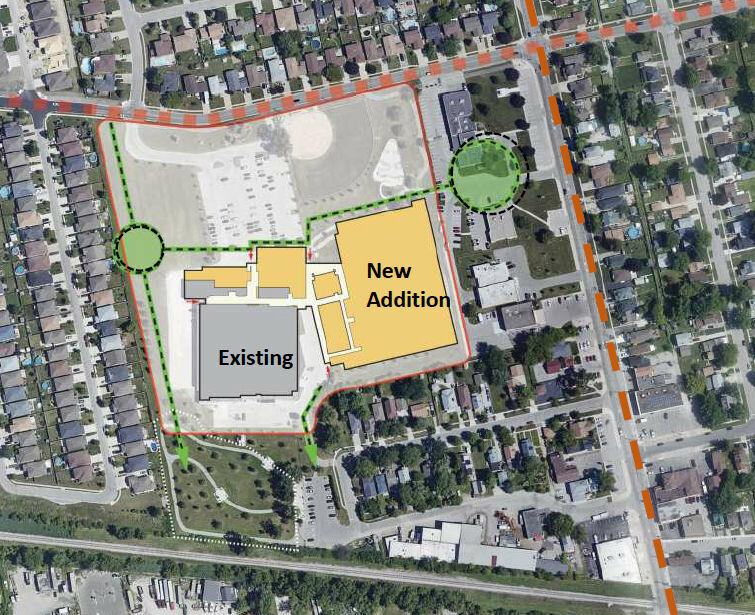 Possible amenities that could be included as well as uses for the double gymnasium include basketball, badminton, pickleball, volleyball and space for year round recreational programming and opportunities for trade shows. Town Administration has been meeting with Provincial and Federal representatives to seek out grant funding for the Sportsplex. Full cost of the facility will not be known until a final design is complete and a tender for construction has been awarded. In addition to the grant funds being sought, the Town expects to launch a fundraising campaign in the next year to assist with raising the Town’s share of the project costs. Click here for a virtual tour of the concept drawings.